Thread: Lelit Combi with PID - Price for second hand? im looking at purchasing a “lightly used” (a couple of coffees a week according to the seller) Lelit Combi with PID. It’s manufacture date is 09/13 making it almost 6 years old. Seller says it is in excellent condition. Asking price is $800 which seems a little exy to me BUT I am new to the world of second hand coffee machines Does this seem like a fair price? 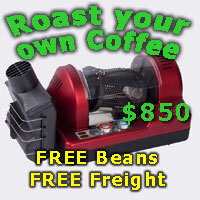 https://www.jetblackespresso.com.au/...mbi-PL042TEMD/ $1229 with free shipping(you don't mention where you are) and 1 year warranty. I just had a quick look back through the sold section and couldn't find and combos with PID, quite a few without though. I would think the machine would have to be in near new condition mechanically to be worth 800. You'd want to check it out for signs of scale or leaks internally. Has it been serviced regularly? When was it last descaled? What does the inside of the portafilter look like without the basket in (good general guide for how well is been looked after), etc etc. You'd need to check it out. Im not really sure what I’m looking for as I’m not really savvy with mechanical workings. I might try & get someone to suss it out for me. Seller says it’s made a couple of coffees a week and that’s it. That it’s barely been used. Will drop to $700 but won’t go any lower. If you are not mechanically savvy, you take a big risk buying used. If it's not recently serviced it might cost you half the extra distance to a new machine. Paying for servicing because you can't do it yourself will quickly add up the first time it has a issue. artman, Dimal, level3ninja and 2 others like this.